Thanks for the fantastic review, David. It's great to hear that we're doing things the right way. We strive to make our customers happy every time. We appreciate the positive feedback and look forward to your continued business. They refunded my purchase of ink cartridges when I requested since our printer died and we had to replace it with a different one. Thanks for the great review, Michael. We appreciate the positive feedback and look forward to your continued business. I was in a jam yesterday as we completely ran out of toner. I called my local copy service company first only to be told they were completely out. UGH, not good... So I hopped online and started shopping everything was at least two to three days to receive a cartridge. I by chance found Ink4less online and saw they offered next day delivery. So I decided to call and see if I could get a toner cartridge shipped overnight. Well, low and behold I had made the cutoff time I received my toner at the start of my business day. THANK YOU, THANK YOU. Isis, thanks for sharing your positive experience with Ink4Less! We are glad we were able to take care of your cartridge needs in an expedited manner. And very happy to have your business. Thanks for the feedback Gary. We're very happy to hear you like our quality imaging products. On price be sure to let us know where we're high and we'll review pricing. In many cases we can meet or beat verified competitive prices. We do carry nearly 7000 items so it is possible we come in high on some items from time to time, or haven't had time to adjust a price as they do change frequently. Just let us know and we'll see what we can do. And don't forget to sign up for our "Ink Deals" email. You can save even more that way. Thanks again, we appreciate your business. I had been using Office Depot for our office's HP toner needs. Living in Alaska one becomes used to delivery delays and added shipping costs (a flat rate box costs the same in Alaska as the lower 48, but many companies will say they do not ship to Alaska as if we are a foreign country). Tired of my orders taking 2 weeks or more I found Ink4less and they were amazing. First, their generic toner cartridges worked in our HP printer (Office Depot generic cartridges made sounds like mice in an exercise wheel). Second, I received a call about shipping, and when I promised them my business for the year, they kept their word on free shipping! Third, all of my orders have arrived in less than a week! Finally, an inevitable mistake happens with the Post Office, who instead of delivering our shipment, returns it. I called Ink4less and they had a replacement shipment sent that day. Ink4less saves me more money, and takes less time. Why would you use anyone else? Thanks for wonderful remarks Rick. We look forward to continue serving you and all of our awesome customers outside the continental U.S.equally well. Hi Jenny, thank you for the positive feedback. We appreciate having you as a customer for so long. We look forward to serving you for years to come. door and I did not have to send back the defective one. That meant over night no charge shipping. Service does not get better than that. Thanks, G.
Customer would not cooperate at any level to resolve his issue, including not answering questions that would allow us to rectify the situation. He also made claims in his review that are not correct, in particular claims that our cartridge voided his warranty. The Magnum-Moss Act is a ruling that doesn’t allow a printer manufacturer to void the printer warranty solely on the fact they used a non-OEM cartridge. Instead, the manufacturer must prove the specific problem was caused by the cartridge directly. Issues like circuitry failure are not due to the cartridge type being used, therefore the warranty cannot be voided due to the cartridge being used. Ultimately, the customer refused to allow us to help him in all regards and ignored our attempts to contact him. This individual was more focused on being argumentative and uncooperative than on resolving the problem. Ink4Less maintains a generous return program and goes to great lengths to keep our customers happy. That is a fact that has never changed. This is the best we have found for ink. Site is easy to use too, product and service are very good. Beats paying more for original. Hi Trevor, thanks for the feedback. 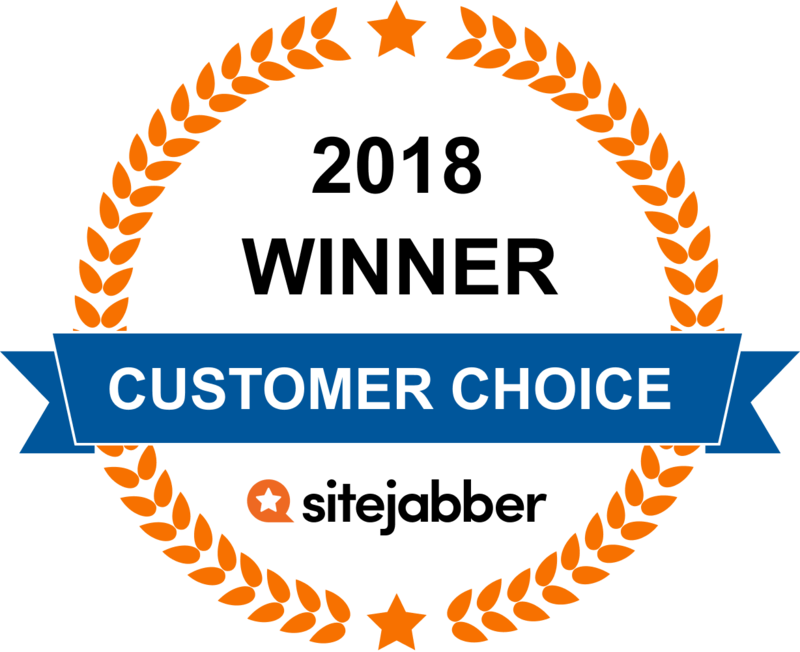 We appreciate your business and will do our best to keep prices down and service up. Great company. Good prices. They specialize in office copying and printing supplies: ink jet cartridges; toner cartridges; fax ribbons and thermal supplies; drums; mailing supplies, et cetera. I've had very good luck with the companies ink-jet cartridges, to date. However, their replacement cartridges are remanufactured; thus don't dilly-dally and put them aside(use them soon). Forgetfully, I placed one cartridge aside for 4 months, and had trouble getting it to work, which it did after some effort. If tired with the chain office supply stores high prices, give them a try. I did purchase a ribbon for my facsimile machine, no problem. They are very quick in sending-out orders, a plus for those of us, whom can be forgetful or neglectful on home-office supplies. How good are their inks and more importantly, do they clog up your printer heads? Hi Tom, great question. Technically any ink, including OEM ink, can clog printer heads depending on environmental conditions and lack of printer use. All inkjet printers have head cleaning procedures because all ink will dry and gum up the print heads in the right conditions. That said, our inks are developed to meet industry quality specifications to provide output consistent with OEM standards. Ink4Less maintains a 1 year warranty against product defects for all remanufactured and compatible cartridges, as well as maintain a customer service policy to assist customers with cleaning should the need arise. Questions? Get answers from the Ink4Less staff and other customers. Ink4Less supplies quality ink and toner products exclusively online, offering discount prices on printer ink cartridges, laser toner cartridges, laser printer drums, copier toner and solid inks. Ink4Less carries more than 6,100 compatible, remanufactured and genuine name brand (OEM) replacement cartridges for over 26,100 inkjet printer, laser printer, copier and fax models. Shop www.ink4less.com today for all major brands including Brother, Canon, Dell, Epson, HP, Konica-Minolta, Lexmark, Okidata, Ricoh, Sharp, Samsung, Xerox and more. Ink4Less has served US customers online with quality imaging supplies since 1999. Our mission has never changed: Provide customers exceptional value at great prices; offer fast, affordable delivery; and be an industry leader with genuine service.